Cold evenings call for delicious comforting food. 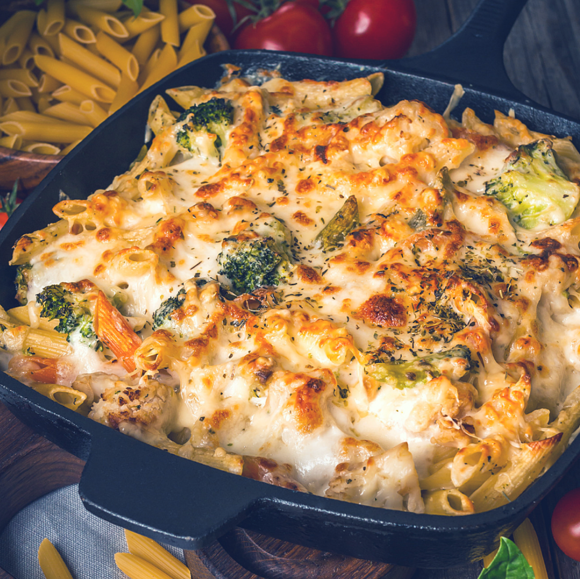 Whip up this tasty broccoli and cheese pasta bake in just 30 minutes. Cook the pasta, adding the broccoli for the final 4-5 mins and cooking until tender. Drain well, then heat the grill. Heat the butter in a saucepan and stir in the flour. Cook for 1 min, then gradually add the milk, stirring well between each addition. Bring to the boil, stirring, then simmer for 2 mins, before stirring in the mustard, half the cheese and seasoning. Mix the pasta and broccoli into the sauce and spoon into an ovenproof dish. Scatter over the remaining cheese and place under a hot grill for 3-4 mins until golden and bubbling.